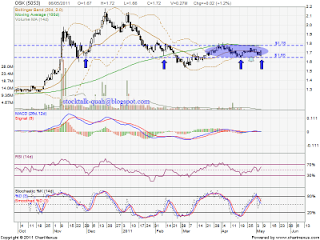 Since 22 March, OSK trade between RM1.65 & RM1.78 range & now forming bolinger band squeeze. Current resistant RM1.78 & current support RM1.65 level. If break up the bolinger band squeeze, it might retest RM1.92 resistant level. 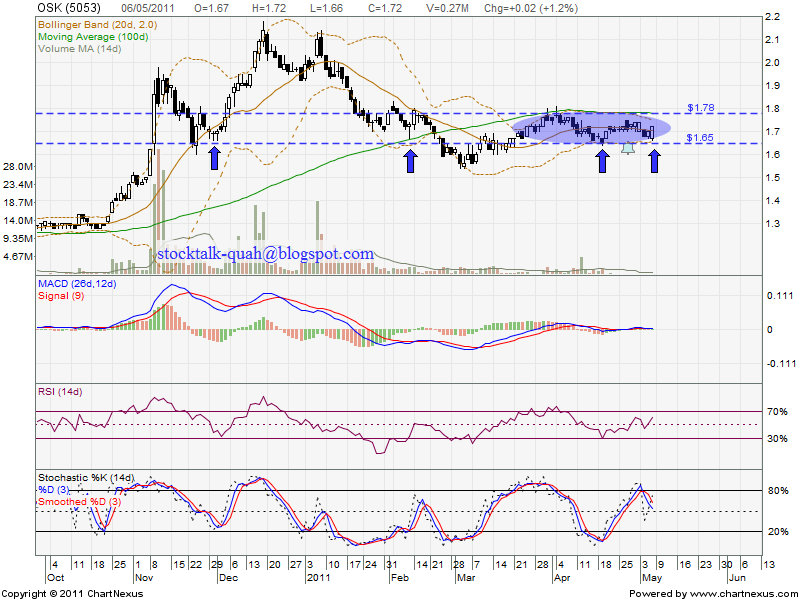 If break down the lower band support, next support which is around RM1.54 level. 6 May 2011, MACD formed bullish crossover BUT volume is too low. Added, Stochastic %K pending trigger for buy call.